As you start designing the landscape in your new or existing home, we tapped our featured organization of the week, TreePeople, to share a few tips on creating a garden that’s gorgeous and conscious. CUT BACK ON TURF // Did you know that landscape irrigation accounts for almost 50% of all residential use? It doesn’t need to be that way. With a plethora of options, cutting back on turf is a cinch. MINIMIZE ROCK, TURF & CONCRETE // Too much gravel or fake turf can increase the heat-island effect and make our city even hotter. Instead, incorporate living, breathing plants as much as possible to help keep the plant cool. Plants invite local wildlife and increase biodiversity. CHOOSE REGIONAL PLANTS // Choosing native plants to your area or drought-tolerant plants is the smart choice. Since natives generally need less water, it means less maintenance for you. If you’re not sure what is considered local for you, visit a near by nursery to get educated. PLANT TREES // Trees offer a landscape a world of good. They increase property values, cut back on our energy use, conserve water. LOOK FOR OPPORTUNITIES TO CAPTURE STORMWATER // Can downspouts be directed toward your garden, instead of the street? Have you installed rain barrels and prepared them for the rainy season? Don’t let that precious water be purged into the ocean. Store it for the future. INSPIRE YOUR FRIENDS // Once your landscape is finished, don’t keep that knowledge to yourself! Inspire your friends. Lend your expertise. We ALL need to do our part to become a water-secure city. Let’s work together. If you’re in Los Angeles and want to learn more about native plants, rainwater harvesting or organizing a community tree planting, visit TreePeople at our next series of Green City Workshops. I partner with work specifically on behalf of the men and women who’s lives are dramatically changed because of the opportunities their companies provide. 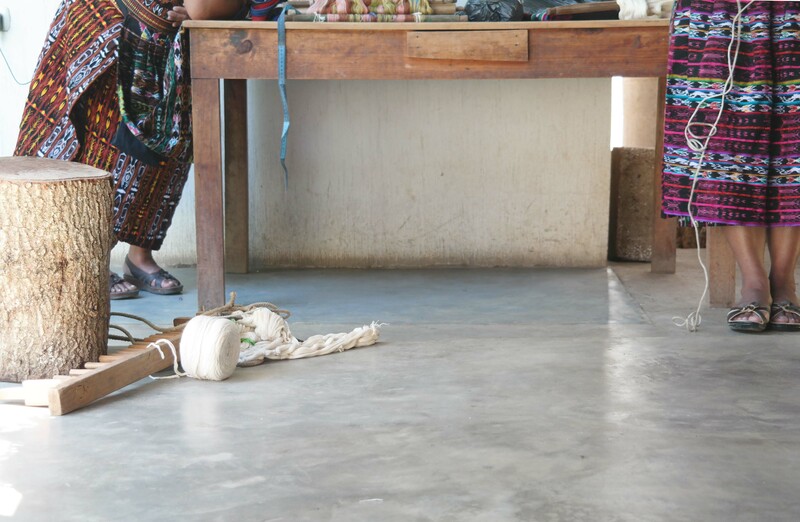 They know their artisans by name, they know their families, and every business decision they make is driven by the hearts they’ve encountered. I wanted in on that. I wanted to see the faces, understand the processes, know the hearts. It’s easy for me to get swept away in designing boxes, but the PEOPLE are what always have and always will matter. 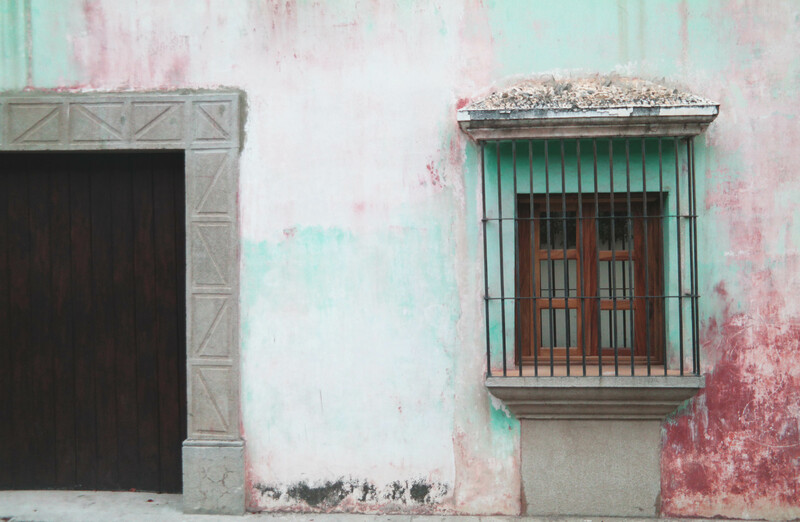 Fortunately, my good friend, Sheeva from Local + Lejos, a socially conscious home decor company invited me to come with her on a quick trip to Antigua and Lake Atitlan, Guatemala. She was heading out to meet with her artisans to discuss design components for her spring line. Two weeks later our journey for good was underway! 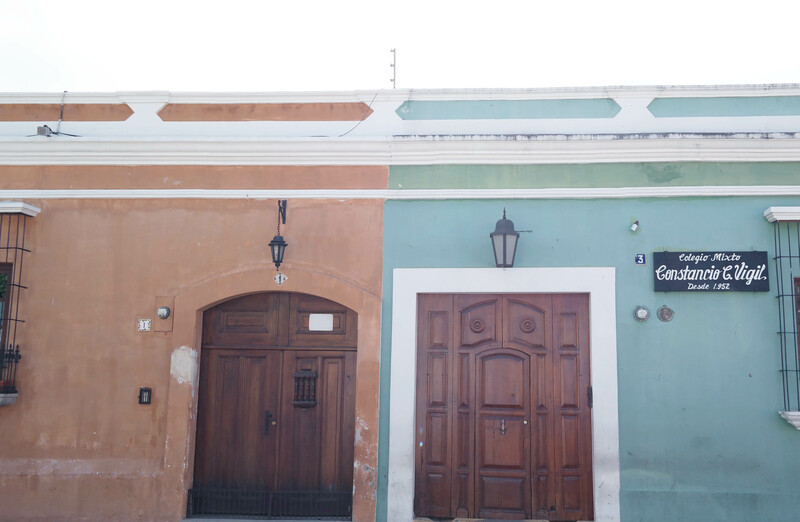 Next up we visited neighboring island of San Juan to meet with one of the weavers working on products for Sheeva’s spring line. We arrived at the Vicente’s (the weaver) home and to our joy many of the ladies in the collective were there as well. They took turns proudly showed us how they dye the fabric (using anything from avocado to homemade indigo), and demonstrated the insanely difficult and beautiful art of backstrap of weaving. 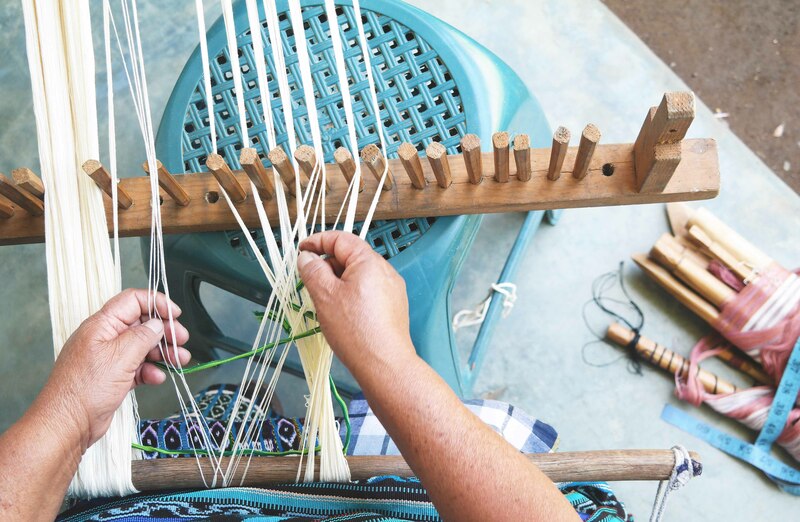 I learned that the designs all tell a story, the loom is an extension of the woman and the heart of the home. I learned that there is an immense amount of pride, care and detail that goes into every piece they create. I learned that properly supporting these women is of upmost importance. As if my heart wasn’t already full, Vicenta and her daughter made an authentic Guatemalan lunch for us. 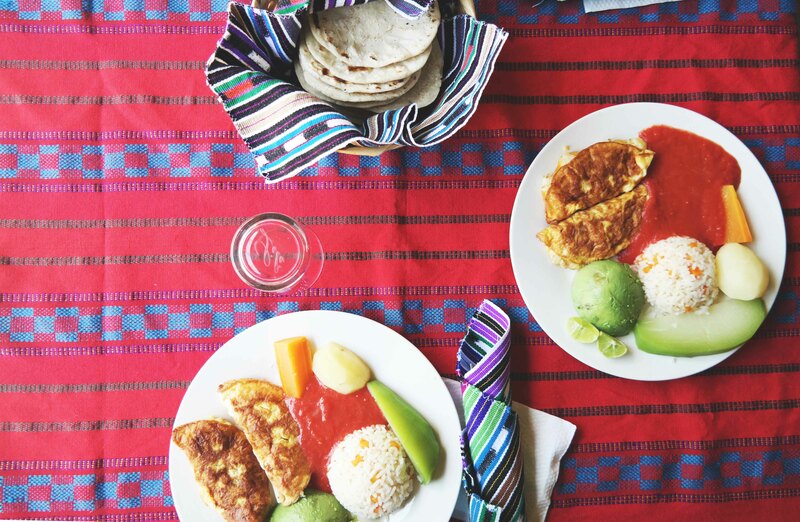 We ate with her and her family – and while staring happily at the colorful plate before me, the eldest daughter reminded me, “we eat with the eyes first.” Since being back I’ve taken that to heart and tried to make my meals just a bit more beautiful. We left Vicenta and (literally) hopped on the back of a pick up truck to a dock on a nearby island. One boat, a tuk tuk ride, and a short walk later we arrived at Maya Traditions. 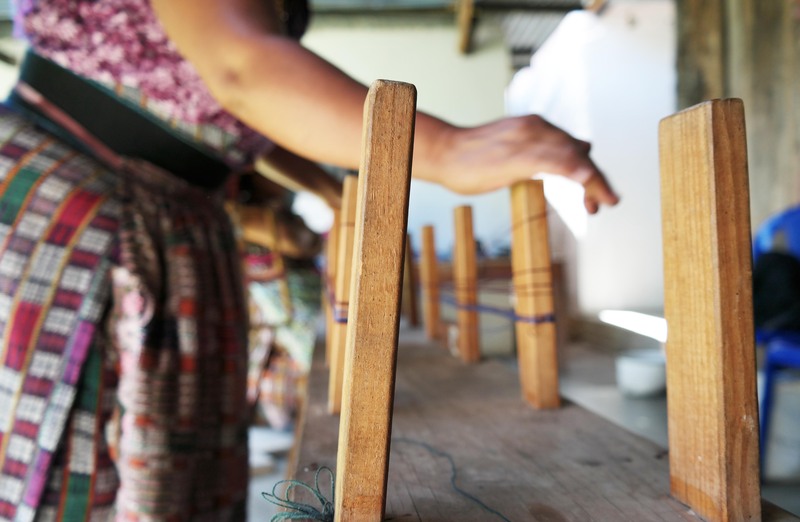 Maya Traditions is an incredible organization designed to connect businesses like Sheeva’s with indigenous Mayan artisans. The next few hours were spent knee deep in fabrics mapping out her spring line with their lead designer, Avery! After an early morning meeting with the weaver creating Sheeva’s best selling blankets, we teamed up with Maya fromKetzali (ah-mazing scarves, accessories and ponchos) and attended a pretty cool tradeshow happening back in Antigua. 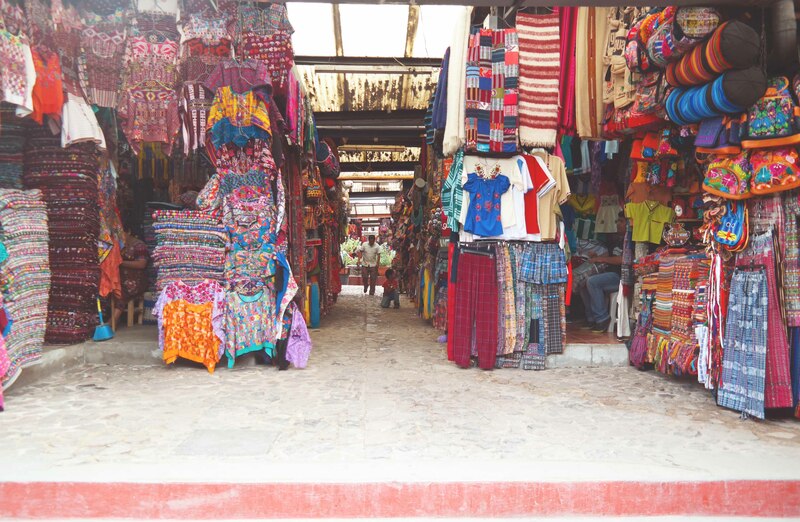 It was so exciting to see Guatemalan entrepreneurs taking traditional methods and adapting them to fit the design needs of the western shopper. Sheeva and I both had the chance to talk shop with various artists and discovered products for upcoming seasons! Does the phrase, “let’s go to market” make your heart skip a beat too? 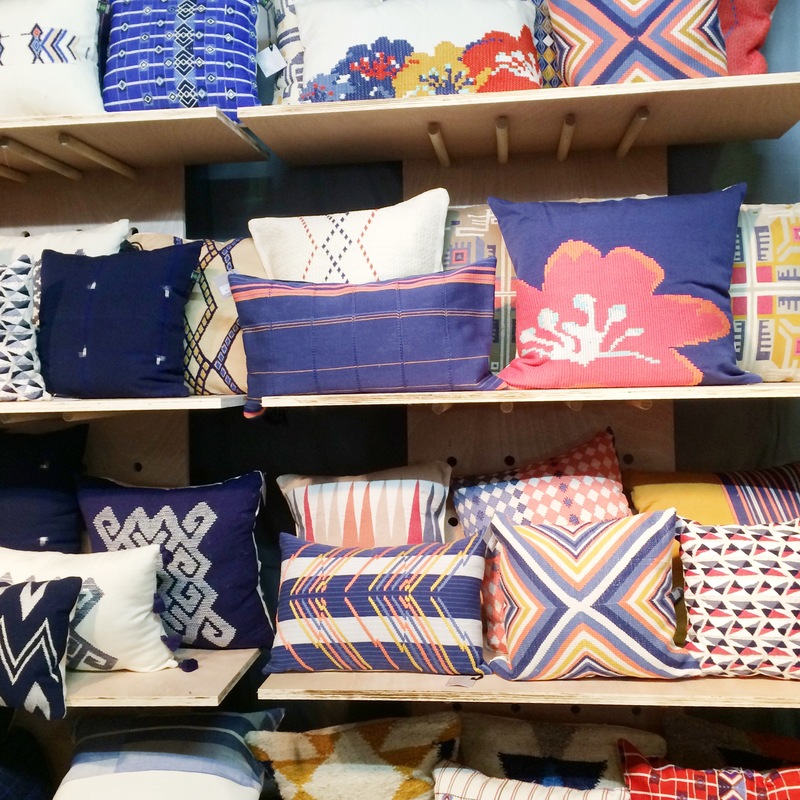 We spent the rest of the afternoon climbing, digging, discovering, bartering and squealing in textile heaven. I snagged a gorgeous indigo blanket, pillow cases and a chair hammock! Our last night in Guatemala was spent breaking bread with Molly and her family, recounting the trip and soaking up the rich culture. I can confidently say my mission was accomplished. I now know first hand that Vicenta is able to send her daughter to college. I saw Sheeva sit with an artisan and vow to help her get a bank account so she can save her money and increase her business. I experienced the two flights, two hour shuttle, one hour boat ride, and 20 minute hike it takes to meet with these women. These items don’t come with ease, they aren’t machine made, they aren’t cheaply built. They are crafted with excellence, with integrity, with heart. We owe it to our world to make better choices as consumers – we owe it to people. I’m more proud than ever to be a part of this movement, even if it is just one box at a time. I was so inspired by the work of TreePeople and all Amber Events had to say about it earlier this week, that it had me thinking about the both inner and outward beauty of trees. In honor of that beauty, I wanted to share a few of my favorite weddings out there where trees were celebrated throughout the design of the day. If you’re planning to use nature as the main design element in your day, please let us know. We’d love to share your story and inspire others! All of the items above came from some of our favorite do gooders out there Campos, Cuyana & Ethica. Being born raised in Los Angeles’s suburbs and navigating the Greater Los Angeles Area today, I am well immersed in our severe case of urban sprawl (AKA urban planning’s prime case study of what not to do). Naturally, like many others, I’ve nurtured a strong love-hate relationship with Los Angeles. We can’t get enough of our weather, social media, embracing diversity and its many tasty eats, avocados, day tripping, and more sunshine. All the good stuff makes it easy to ignore a drought, how disconnected we are, normalize earthquakes and wildfires, and spend more time in traffic than most humans ever will. With 13 million residents who never want to move out and more residents moving in, each defining LA’s lovable livelihood and overwhelming consumption. One of the biggest environmental challenges we face today is securing water, a basic resource, for all 13 million of us. The existing infrastructure built to prevent floods and secure water is no longer sufficient. Despite El Nino’s promising rainfall to fill our reservoirs and revive the LA (concrete) River temporarily, it’s crucial to take the steps towards more efficiency. At the forefront of securing water and creating a resourceful environment for us to continue thriving in the future, is TreePeople. By leading Los Angeles in green infrastructure, TreePeople is not only solving critical issues, but also planting the seeds (literally) for watershed restoration to build a sustainable, more regenerative, climate-resilient future. 1. ACTION. Going beyond dollars – it’s easy, accessible, and fun to get down and dirty with TreePeople. Physically being present, participating with your time and labor of love, and being socially involved is incredibly satisfying and productive. Check out their Calendar! 2. GRASSROOTS PROGRAMS. TreePeople successfully roots into Los Angeles’s livelihood by inspiring individuals to take action, educating, and uniting with communities at homes, neighborhoods, and schools through multiple effective programs and workshops. 3. PARTNERSHIP. TreePeople is recognized by and is in partnership with governments at city, state, federal, and international levels to help create plans and policies. 4. SAVING THE WORLD. Benefiting humans and ecosystems, one tree at a time. Here’s how. 5. VENUE. TreePeople has evolved to more than a public park, conference center, and education center. You can host your special event at their beautiful property while supporting TreePeople and all they do. 6. ‘ONCE UPON A CANYON NIGHT’. One of my favorites, TreePeople hosts a summer entertainment series of poetry, comics, music, staged readings, and shows nestled in the woods, under the stars. 7. MOONLIGHT HIKES. They host guided hikes after dark to experience LA like never before – howling at the moon welcomed! 8. DEDICATE A TREE. Gift a gift that gives. And gives. TreePeople brings you the ability to dedicate a tree to honor or in memory of someone special. 9. TREE MAPPING. If you’re a map-lover like me, a visual learner, or simply want to understand and track all the positive impact, you’ll appreciate this map. 10. CREDIBILITY. TreePeople is rated by Charity Navigator with four out of four stars for Accountability and Transparency. You’re donation, whether in participation or dollars, is definitely doing what they say it’s doing. A nonprofit that aligns efforts between the individual and community, the people and government, design and engineering, the arts and sciences, in feasible and sustainable methods to save the world and have fun?! What’s not to love?! My love forTreePeople is the kind that brings peace to mind when mourning for the Earth and hope for humanity, while igniting inspired action to continue to love over fear. Simply put, TreePeople are my kind of People! If you’d like to consider registering for donations to TreePeople, you can learn so much more by clicking here.